Ambient Assisted Living (AAL) is a promising and fast growing area of technologies and services to assist people with special needs (e.g. elderly or disabled) in managing more independently their everyday life. AAL is founded on increasing needs for welfare technologies, as well as on significant effort from many scientific disciplines, the society, and the industry. The research has so far been primarily concentrated on elicitation of the functional aspects and on providing the technical solutions for the AAL systems and services. The problem of eliciting non-functional requirements and quality characteristics that are specific and critical for AAL, however, has been addressed to a much lesser extent. Failing to ensure the necessary system and service quality regarding critical characteristics may represent a significant obstacle to the wider acceptance of AAL in the society. There is hence a need to increase awareness of quality of AAL systems and services by providing the necessary supplement to the established state of the art. 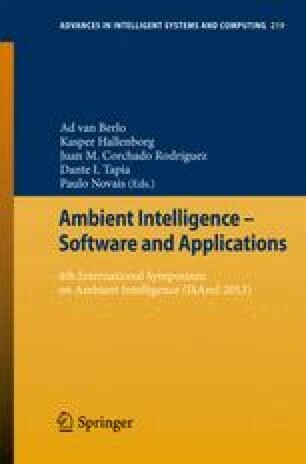 This paper reports on the process and the results from elicitation of AAL specific quality characteristics. The approach is based on established reference architectures and roadmapping material, as well as the ISO/IEC 9126 software product quality standard. The paper demonstrates how to do the elicitation in practice, and proposes the set of quality characteristics that are most important in the AAL context.